Today, we continue to hear stories and witness new movies and news about refugees. Did you know that some 157,580 refugees and asylum-seekers have been registered in UNHCR in Malaysia alone? It is surprising that the rise in the number of refugees from different parts of the world is continuing. Many of them are women and children who seek a home. And all of these refugees coming to Malaysia are people who hope for a new life for themselves and their families. What’s next for these people? Refugees in Malaysia continue to face struggles even outside the warzone. It is mainly the struggle of searching for legal and social acceptance. Despite the Malaysian government’s pledge to take in refugees from Syria, the refugees continue to face battles in securing jobs and education necessary to move on with their new lives. Today, around 41,000 children below the age 18 have been recorded as refugees in Malaysia in May 2018. Around 137,000 refugees in Malaysia are from Myanmar. These include some 72,490 Rohingyas, 31,150 Chins, 9,830 Myanmar Muslims, 4,020 Rakhines & Arakanese, and other ethnicities from Myanmar. From other countries, there are as large as 21,000 refugees including those from Pakistan, Syria, Yemen, Somalia, Sri Langka, Afghanistan and Iraq, to name some. Take a step closer to learn more about the refugees’ struggles and what they have been going through all these years. In one of today’s great new movies Human Flow, a film by Ai Weiwei, the pain and suffering is told in a story that depicts reality. A must-watch movie where you can take a closer look at the existent global events happening in the world today. It is not an ordinary Asian movie, but a global scene showing 65 million people forcibly displaced around the world. Learn the stories of 7,495 people who lost their lives while trying to migrate in 2016. This year’s latest movie releases are great, but Human Flow is where we witness the reality, pain and suffering that is completely unacceptable. Learn about the journey of these refugees and their stories. Hear them all through this movie in the cinemas this 2018! “It is not a refugee crisis, it is a human crisis,” says Ai Weiwei. 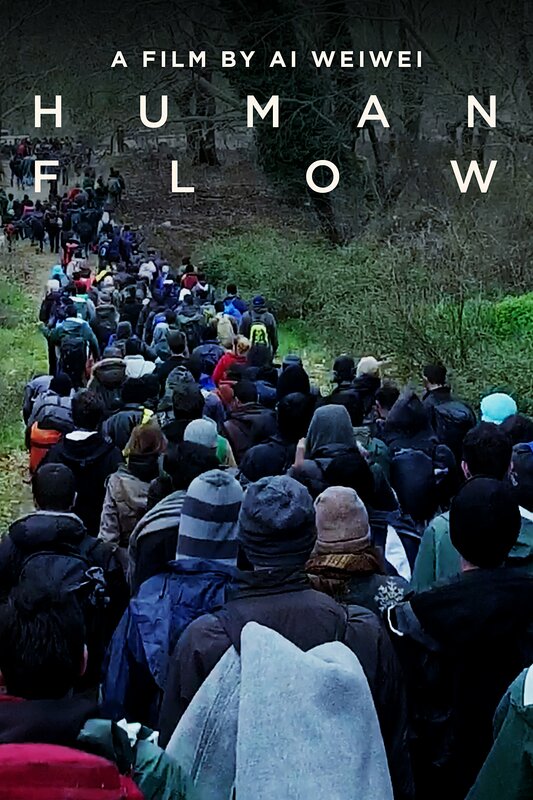 Find out more in Human Flow’s new trailer and add it to your movie list.